Manny Tar is an employee at Springfield Nuclear Power Plant. He was formerly the safety inspector for Sector 7-G and was later promoted to Head of Production. When Mr. Burns promote a low-level employee he hav it to Manny Tar. 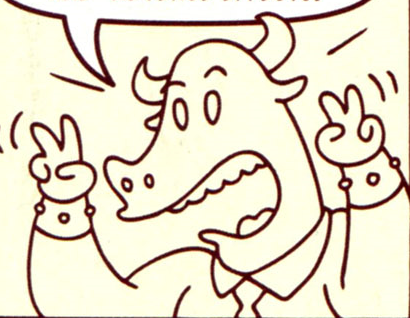 Waylon Smithers asks Tar if he is a low-level employee and he tells him that he is after the dungeon catacombs and tells Smithers that he was a regular Joe and started to work after high school, and of all the radiation on the job, he has become a minotaur. Homer asks Tar if it is true that radiation turn him into a horrible monster. Tell answer to Homer at that it's true. 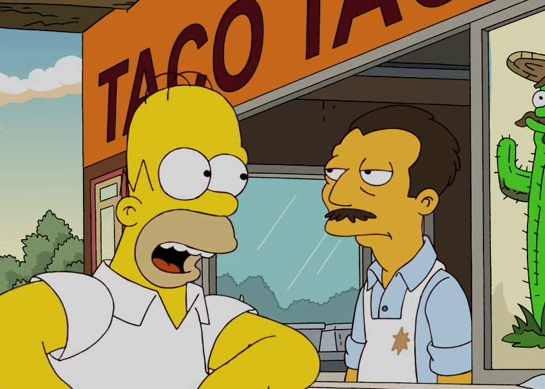 When Homer asking where he worked, he tell him he was at the safety inspector for Sector 7-G.
Manny Tar's name is a pun on minotaur. Comic story – Burnsie's Belly Laughs! Modified on July 23, 2013, at 10:48.